Primo is the only ceramic grill made in America. They start with raw materials that are harvested in the United States to make our ceramics. 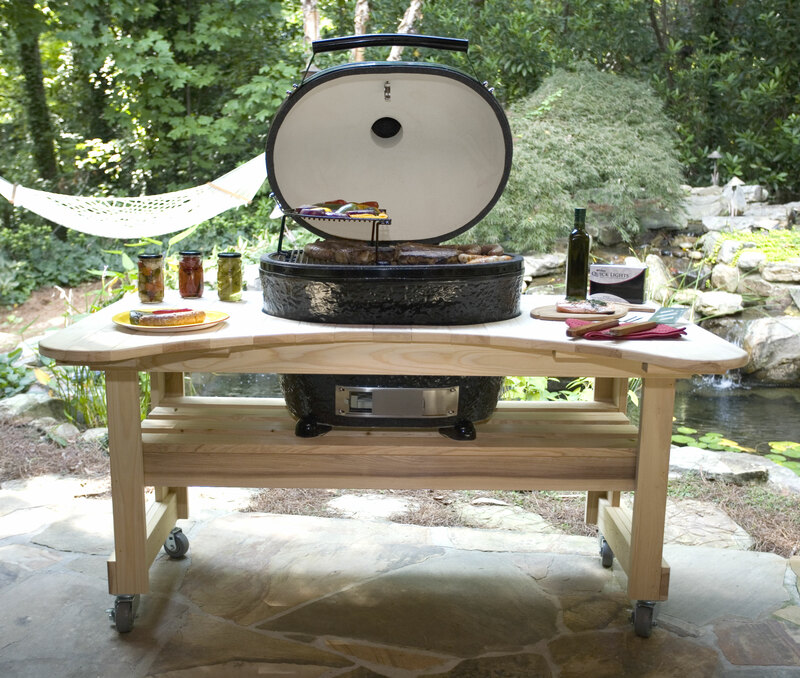 The molding, drying, firing, hand assembly and packaging of their ceramic grills all take place at their manufacturing plant located in Tucker, Georgia. Primo Ceramic Grills are truly American as apple pie... In fact you can bake one on any of our grills! Primo is the only ceramic grill company to offer a Limited Lifetime Warranty backed by a 20-Year Guarantee. The Primo warranty and guarantee assures that your new grill is covered for many years of use and enjoyment. Request Your Primo Grill Quote!